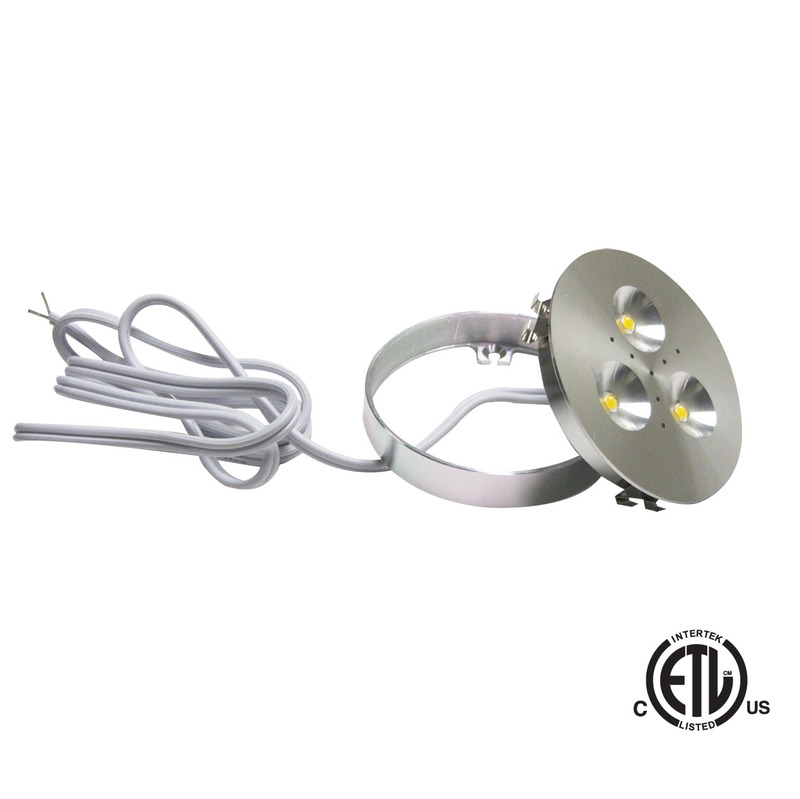 Our Newest LED Puck Light is made with 3, 1Watt Power LED's and is our smallest profile for both recessed or surface mount installations with the included bezel. This LED Puck Light only draws 3.5 watts of electricity and yes, this LED puck light is dimmable. Manufactured in Brushed Chrome or Brushed Black and White Finishes. Also available in custom colors (minimum order requirements may be required). Contact us for OEM or Private Label customized kits for your specified LED Puck light cabinet needs. GBLs Power LED Puck Light, our newest addition to our LED cabinet lighting line is manufactured in a brushed chrome, brushed black or Brushed White Finish and uses 3 power 1 Watt LED's. Dimmable with a 12VDC LED dimmer or with a dimmable LED transformer dimmed on the line voltage side. 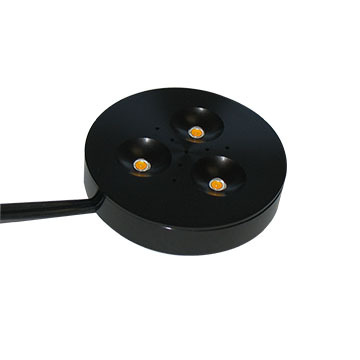 For installation, this Power LED Puck Light can be recessed or surface mounted. The thinnest profiled round LED cabinet light available. Recessed Cut Out Size: 2.75"